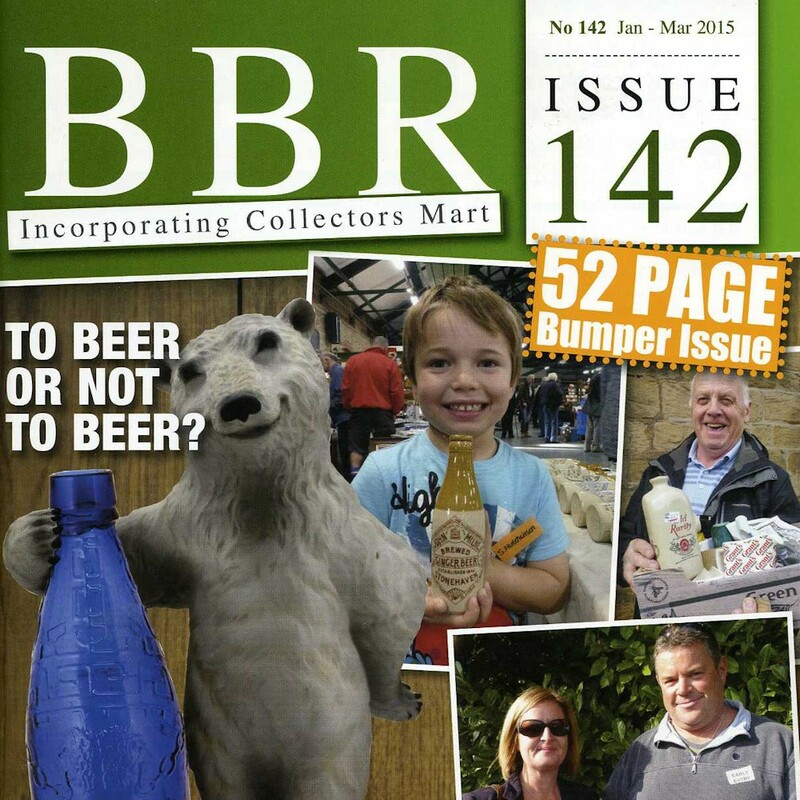 When I moved out of London in 2000 I began to write for BBR, an auction house and publisher based in Elsecar near Sheffield. Built up by Alan Blakeman and his wife Gill, it is the leading specialist in a variety of antique utilitarian packaging and packaging related collectables. The original focus was in the area of glass and ceramic antique (pre-1920) bottles and pot-lids dug up by enthusiasts from Victorian rubbish dumps. A vast array of related items that turn up in these excavations, anything from clay tobacco pipes to foot warmers, beer jugs to oil lamps. All of these items, together with enamel advertising signs and period shop fittings (show cards, counter displays and adverts) became the subject of both magazine articles and books. Firstly, contributing articles and than as its editor for the quarterly 52 page, full colour magazine (British Bottle Review) I’ve now written two books for them with another two in preparation.